ANNUAL MEETING OF JOHN HARRIS COUNCIL WILL BE DECEMBER 10, 2016 AT 10:00 A.M. The Council will open at 10:00 a.m., hold the annual meeting and business, elect and Install Officers and confer the Royal Ark Mariner Degree. The next stated meeting of John Harris Council #458, Allied Masonic Degrees will be on March 29th at 9am in Tilton, NH. We will be performing the Master of Tyre degree on this date, quick rehearsal at 9:00 then the show about 10. 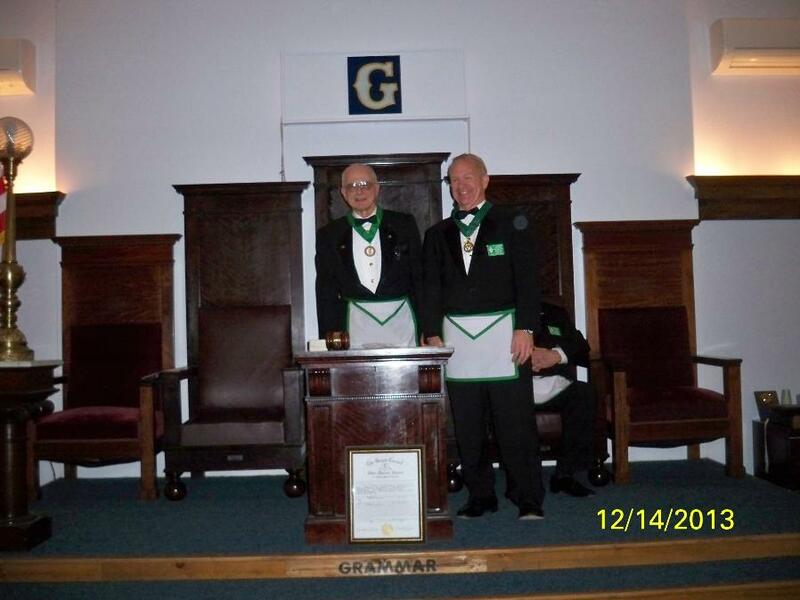 DAVID E. LEWIS, SM PRESENTING R. BRADLEY ALDERFER WITH HIS PAST SOVEREIGN MASTER JEWEL AND COLLAR.